My dramatic and traumatic relationship with a benzodiazepine began eleven years ago when my dear husband, fifteen years my senior, began his journey down the dementia trail. On a routine visit to his geriatric physician, I told her I was having trouble sleeping next to the man I loved knowing that the only ‘cure’ for his advancing decline was death. Dr. A’s immediate response was to take a prescription pad from the pocket of her crisp white smock. “Ativan (Lorazepam)/100/1mg/take as needed up to 3mg per day,” she wrote — with no warnings that if used too long it could cause a disruption in my brain and central nervous system that could take years from which to recover. During the next four years, three other physicians, an addiction specialist, a nurse practitioner, and one psychiatrist kept refilling the prescription along with other brain-masking concoctions: Remeron, Trazadone, Zoloft and other antidepressants. I was being told my mind was in trouble, when it became obvious my mind was just fine, t’was my brain that was balking at the toxic molecules pouring over it day after day, blunting my natural resources to get through those anxious times. In 2009, under the sweetest of circumstances — in our bed and without any more than a final “sigh” — my husband died, though throughout those final years, he never lost his Yankee dignity, his acerbic humor, nor the look of the “Yaley” I met in the second half of our lives. Was I ready for it? Not really, though I knew he was. Did I feel it? No! Two years on Ativan at that point took care of that, pretty much blunting all my feelings; yet, in a way, protecting me from the natural grieving process. That came almost three years after I finally got rid of the damn pills. Since my husband’s passage was not the first I witnessed in my family circle, I might have been more prepared for the grieving process had I not been Benzodized. In January of 2012, after trying to wean myself off the Ativan for months, I incarcerated myself in one of Southern California’s celebrity-friendly thirty-day residential treatment programs, where in two weeks I was rapidly taken off the Ativan with other drugs, while facing an archaic attitude that ALL addictions were the same — benzodiazepines were no different. I even had to go to AA meetings where coffee flowed and cigarettes fumed, or the staff would not let me go to the Sunday night movie with my cohorts. Nevertheless, it worked. I returned home to Oregon Ativan Free, thinking I had beaten the benzo rap. Not so, it turned out! 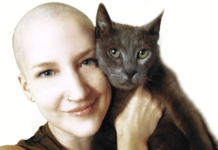 Two weeks later, I was plunged into the fight of my life to recover from a Protracted Acute Withdrawal Syndrome (PAWS), like Professor Heather Ashton wrote about in The Ashton Manual. Until the beginning of 2015, I lived 24 hours a day, 7 days a week flu-sick, of a magnitude harking back to the worst morning sicknesses with each of my pregnancies. That was the year I was well enough to act on what was becoming a ‘mission’ — to find the common denominators in benzodiazepine toxicity and protocols to help people withdraw and get on with their lives. Once I began researching that damn word, ATIVAN, I discovered Malcolm and Heather and Geraldine Burn’s story on www.benzo.org.UK, and began ordering benzo books from Amazon, including Ted Kennedy’s 1979 hearing on “The Use and Misuse of Benzodiazepines.” When I could not even make it to the kitchen, I was on my laptop finding links leading me to what is now a somewhat public role in solving the benzo travesty. Now, six years post-benzos, I have, to my dismay, become a very reluctant Activist — not a new role, but a more serious one. Once I learned that I could live so ill for so long with but a smattering of hope that I would ever be in charge of my life again, I took on the ‘depersonalization/deregulation’ symptoms common to benzodiazepine withdrawal, by speaking up to anyone who would listen. Few did. My story is now told in a forthcoming memoir, REPAIRING THE BENZO BLUNDER: A Mosaic of Recovery — its first printing a gift to those who attended The International Benzodiazepine Symposium last September, something I decided to sponsor once I realized the medical practitioners I trusted did not know a damn thing about a long-term relationship with a benzodiazepine. With the intention of bringing benzodiazepines out of the shadows and into a full-fledged medical institution, we invited experts in the fields of pharmacology, drug addiction, behavioral therapy, professors, social workers, journalists (Robert Whitaker was our keynote speaker, with a filmed introduction from Professor Lader), filmmakers, and speakers from all over the country; to educate, not castigate or litigate about the appropriate use and historical misuse of benzodiazepines. Our efforts have produced a fifteen minute video synopsis of what we did here in beautiful Bend, Oregon. Our goal is to expand the synopsis into a full-length documentary. And me? At this point in this non-linear benzodiazepine recovery process, I am one of the lucky ones. On this side of what I’ve termed “Benzoitis,” unless some major life stress finds its way into my “second brain,” our enteric nervous system, reminding me of the -ICK- of withdrawal, the surging cortisol, the “doom factor” as I used to call it, I am just about as healed as a woman in her seventies might expect from such a devastating ordeal. My sincere message to those whose vitality and lives have been sapped and zapped by this iatrogenic dis-order: most of us DO recover! And even if it is not without some benzo remnants lodged in our cellular memory, what we learn about our own resilience will guide us to places in our lives we didn’t expect to reach. HOPE was my key through the arduous path of benzodiazepine withdrawal and recovery. Call it anything you like. Faith? The appearance of that which is not obvious yet? Trust? In your own intelligence to see you through? I pass that on to any who doubt that power. Marjorie Meret-Carmen is an educator, freelance writer, and social and political activist. She wrote Repairing the Benzo Blunder: A Mosaic of Recovery during a four year dependency and ultimate recovery from Ativan and other prescribed psychoactive drugs. As founder of Advocates for Social Reform, Marjorie works toward finding solutions to social injustices that have been plaguing society for centuries. 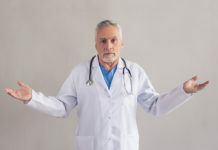 The ‘doctors’ know full well the horror, but there is no regulation nor oversight, so they are allowed to get away with it. This is why it is a crime against humanity. I was ripped off valium, ripped of lorazapam, ripped off zopiclone. When I say ripped off, a social worker and a few heavies just came round to my place and took the drugs off me, I was in agony from a kidney stone moving after I had been attacked in a MH unit. The next day after an CT scan I had an emergency operation to remove a stone stuck in my tube, they could not find it so put a stent in. In between that lot I went into withdrawal akathisia in the hospital, this was treated with comtempt by the on duty ‘doctor’ he just said: ‘what do you want me to do …breath.’ and was referred to as ‘the suicide one’. I went back to have the stent taken out, they still couldn’t find the stone, wouldn’t do another scan to see if I had passed it, so I went through two operations for nothing when in fact the stone had passed. And made the biggest mistake of my life by going to my GP. Three years later, three drug akathisia induced serious suicide attempts and coming off 14 psychiatric drugs on my own, my memory shot up, lithium hand shaking, complaints rejected and I’ve come to realise the full scale of this crime. Protracted and acute do not occur simultaneously. These terms indicate time sequence in which withdrawal occurs. Acute is the immediate timeframe post-withdrawal and protracted is often defined as the withdrawal that persists for 18 months and longer (years). The video from the symposium is excellent. I’d like to see more video(s) from the sessions at the meeting. 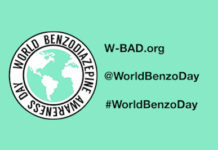 I’ve posted a link to it on all the benzo withdrawal groups that I can find on Facebook. Thank you for taking the effort and expense to get the word out on this worldwide scandal. I think the dam of lies and deception about psych meds is more than leaking–it’s going to burst. In the last few months the Times ran a front page story about how hard it is to withdraw from the SSRI antidepressants that received 6,000 comments in the first 24 hours, more than any other article in their history, so the next day the Times published another article about the deluge of comments. Johann Hari’s new book “Lost Connections” about the failure of SSRIs and what really works for people is a best seller, “Anatomy of an Epidemic” is a best seller. A major difficulty for people who want to withdraw from psych meds is not only the denial and lack of knowledge and help from medical professionals but the dearth of studies about what’s the optimum way to taper. All we have is Dr. Ashton’s book, Peter Breggin’s expensive book and some websites like benzo.org.uk. There are libraries full of studies about how to withdraw from the “bad” narcotic drugs but almost nothing about the “good” psych meds. What I see online is thousands of people banding together and supporting each other, in an ad hoc way, which leads to much misinformation and confusion among people looking for what to do, for what works. I dropped out of life for a year to withdraw. Survivingantidepressants helped me greatly. I lived with my retired parents in a single wide in the boonies. (Got away from those infantilizing “mental health” baby sitting workshops.) They never found out I was withdrawing because I didn’t act “crazy” just sick all the time. Mom thinks I have fibromyalgia. I don’t have tics. My anxiety–really, primal, brain damaged fear that did not ever subside–is largely gone. I’m remarkably healthy. Orthomolecular (high dose vitamins) has helped, too, but…I now believe that God still does supernatural “stuff” in this world, largely because of His work in my life. But many people remain damaged, even destroyed. Not everyone has family able and willing to support and even protect them. Staying in the economy often means one -must- take the “new medicines,” one must play the “experts'” rules, one must “remain in treatment,” often indefinitely (or…until retirement, I suppose…). Truth be told, if God had not moved so mightily in my body and in my life, my family would have probably discarded me. That’s how rough it is for people destroyed by psychiatry…even the nearest and dearest get tired, get ashamed, get angry, and the person/”patient” ends up…away, out of mainstream society, destroyed and discarded. This was the one pill I had the hardest time dropping. Ultimately I succeeded in getting off of it by using CBD oil. I can honestly say I felt no withdrawal. However, I learned with the first batch of CBD I needed more time than I had a supply for. The second effort was successful, having a larger batch that lasted longer. I honestly do not miss it (surprisingly). When I am having difficulty sleeping I use melatonin which I have in the house all the time now. I also resort to chamomile tea and other teas for relaxation. Very nice, no side effects. However, I have come to realize I am left with neurological difficulties and severe memory problems. Don’t think I am whining…just stating a fact. So glad I am done with it.